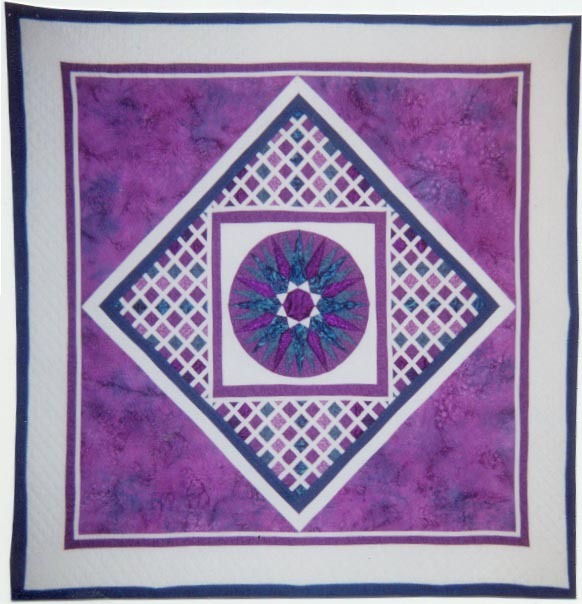 The inspiration for this quilt came to me while observing the final eclipse of the last millenium. Among the fabrics I used are pieces of the silky nightgown I was wearing that night. My intention in making this piece was to portray the possibility of rhythmically blending the old with the new.